You'll have the best party with Bounce House Rentals from Bounce Blast! Everyone gets excited to see a bounce house! Kids will have hours of fun and socializing with one of our inflatables! We are located in Naugatuck, CT and we deliver the party to you. With a large selection of bounce houses you are sure to find the best one for your party or your event. 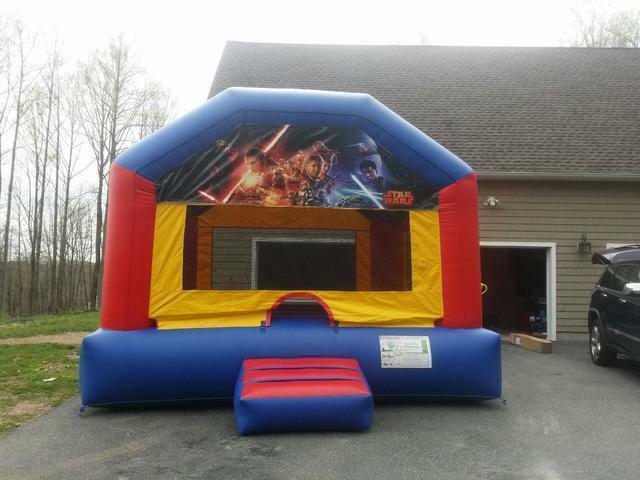 We have several themed units like the Star Wars Bounce House or the Princess Bounce House! Most of our inflatables are compact and fit easily in the backyard. Let a bounce house be the center piece of your gathering and the rest will be a breeze! If you want to add a bit more excitement check out or Packages! 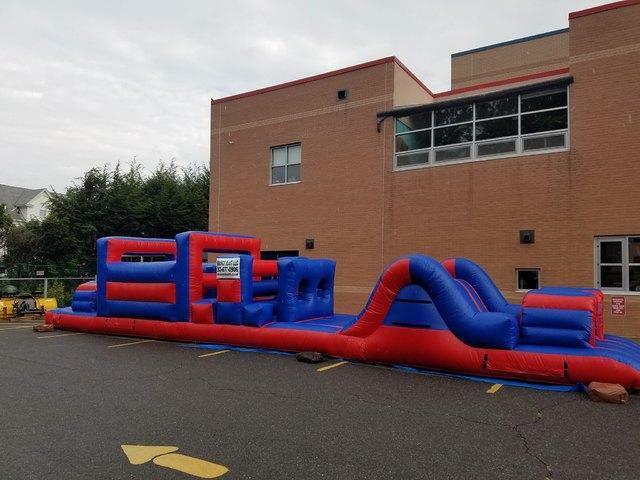 The 55ft Obstacle Course and Bounce House is perfect for school functions, fundraisers, or large parties! This package deal is a great way to get more bang for your buck! Bounce Blast has so many options when it comes to inflatable entertainment. If you are concerned that you may not have a means of power for an inflatable we have you covered! You can set up an inflatable unit practically anywhere with a Generator rental. Go ahead! Plan your party and have it where ever you like! All of our rentals are cleaned and sanitized for your health and well-being. We want you to have a positive experience with no stress. Bounce Blast will deliver, set up, and pick up all rentals so you will have one less thing to worry about. Check out our Delivery Fees for more details or Contact Us. Check Out this article on keepng kids safe in bounce houses!